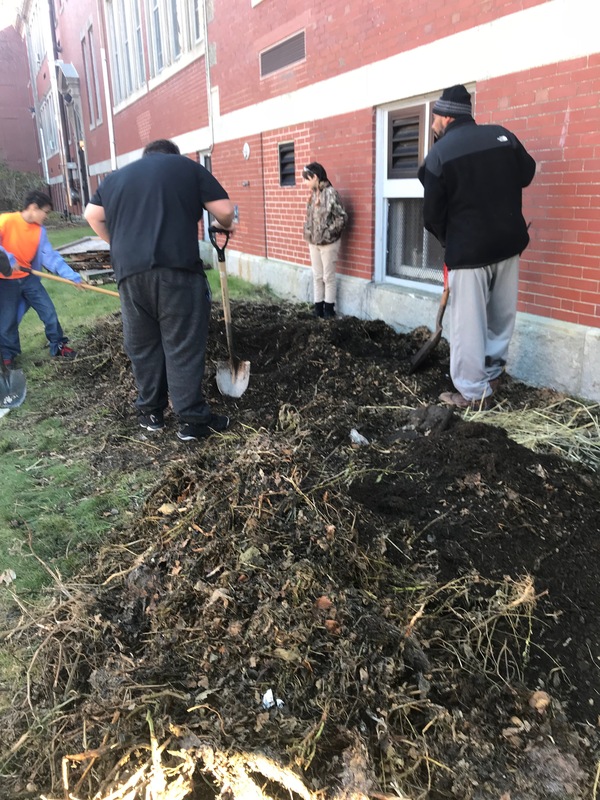 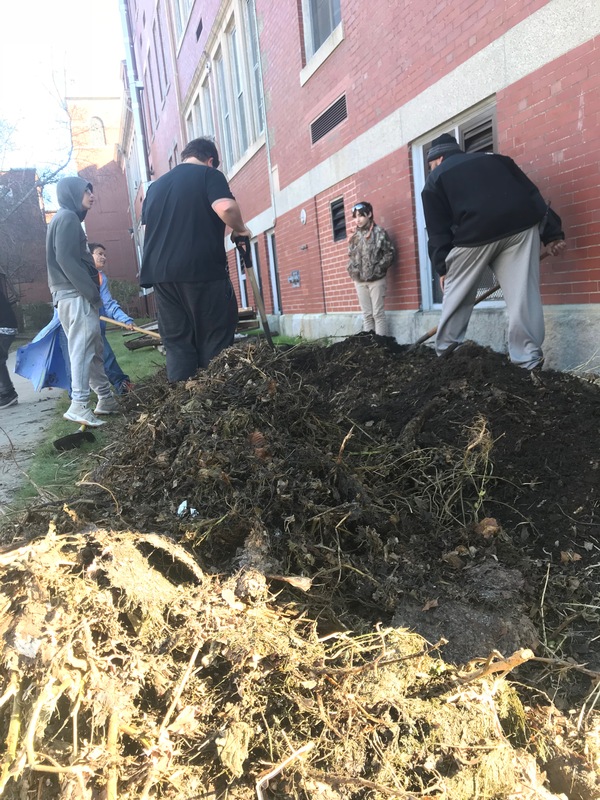 Composting is an important part of working with the garden at Trinity Academy in New Bedford, MA. 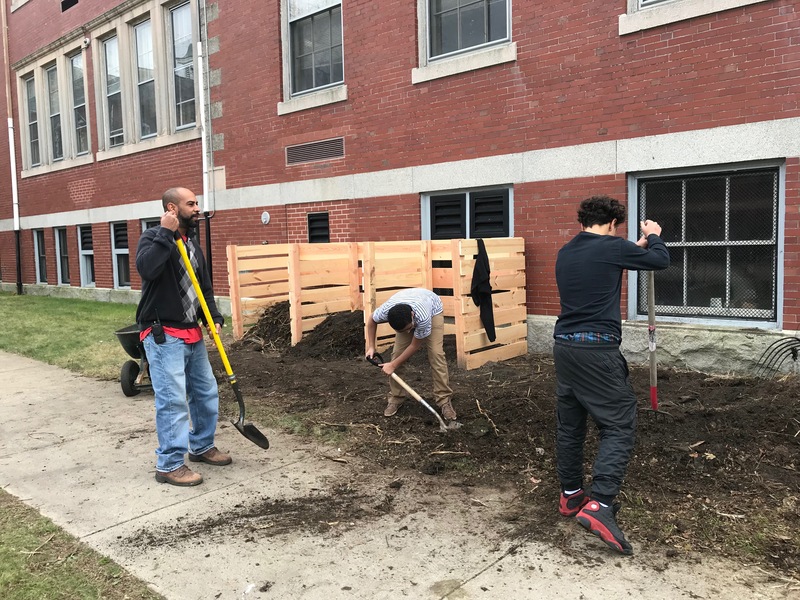 Currently teachers and students (with the help of Grow Education), raise herbs and vegetables for the neighborhood as well as their culinary classes (where students cook their own lunch daily)! 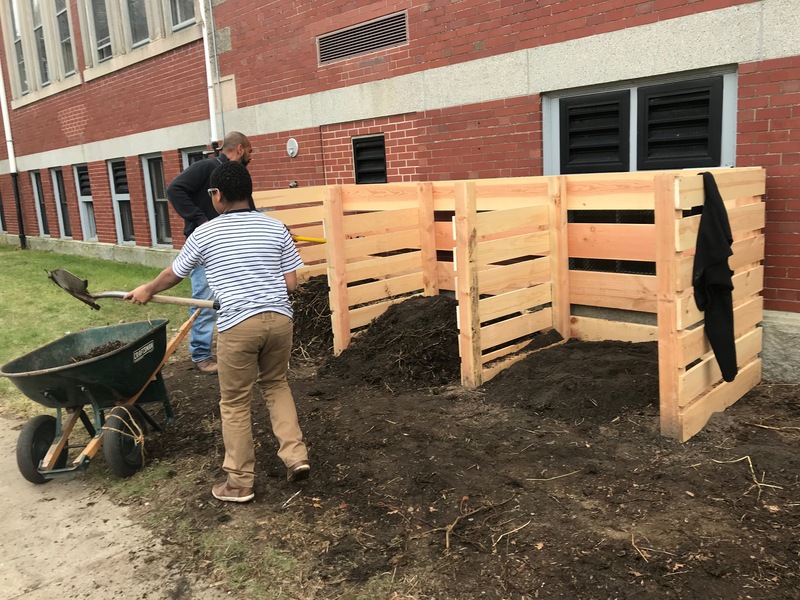 Students will continue using the garden and newly renovated compost bin to learn about and experience the food system — realizing how our waste can become a much needed resource. 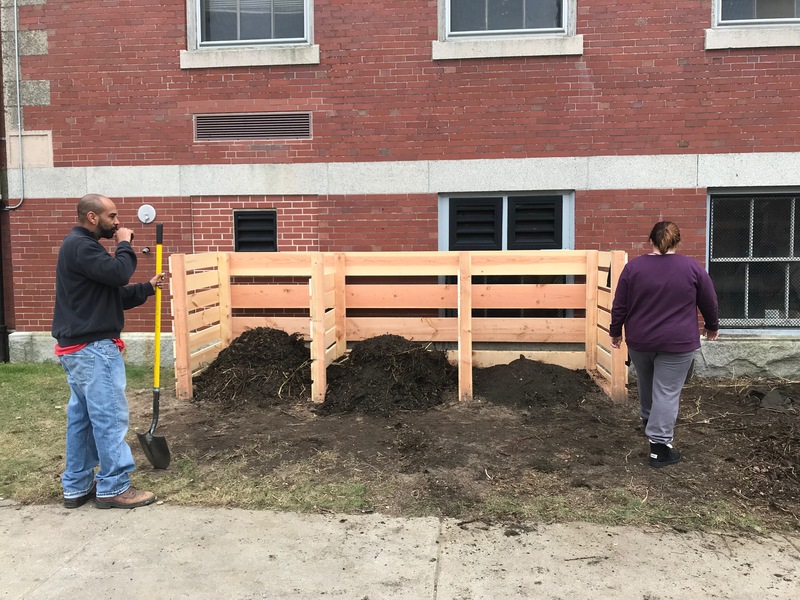 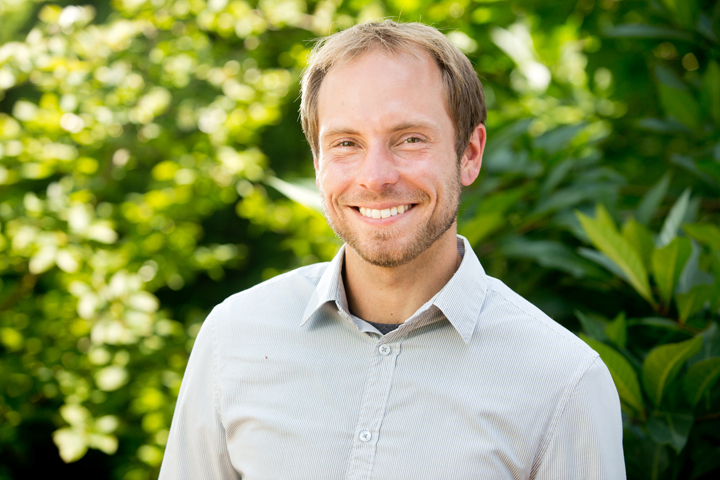 As the Garden Operations Manager for Grow, I collaborated with the staff and students at Trinity Academy to design and rebuild their compost bin. 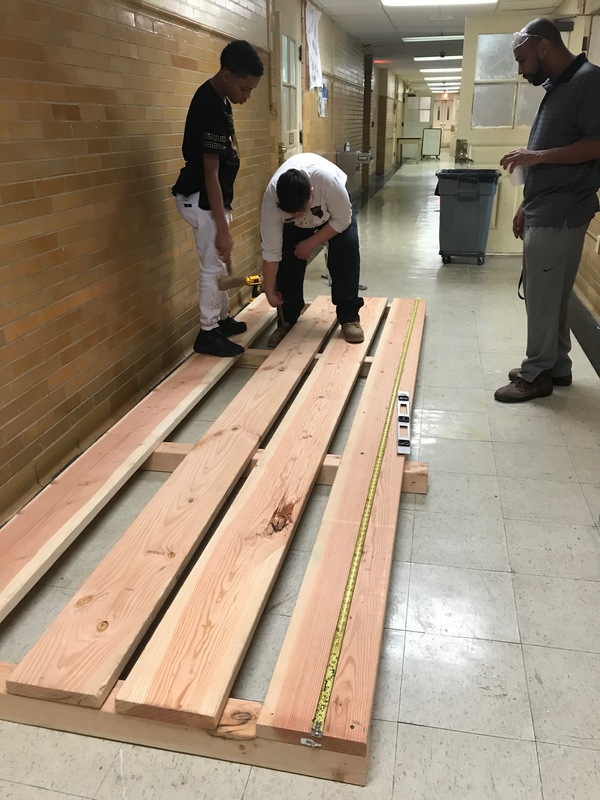 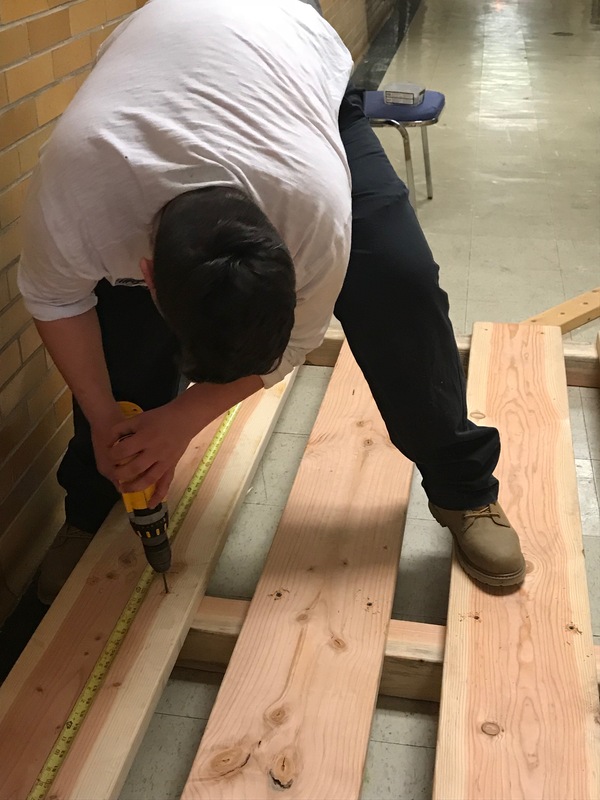 With the help of Trinity’s carpentry shop teacher Mr. Pina, I worked with the carpentry classes throughout the week to design a three-bin system that would better fit the needs of their garden and school community. 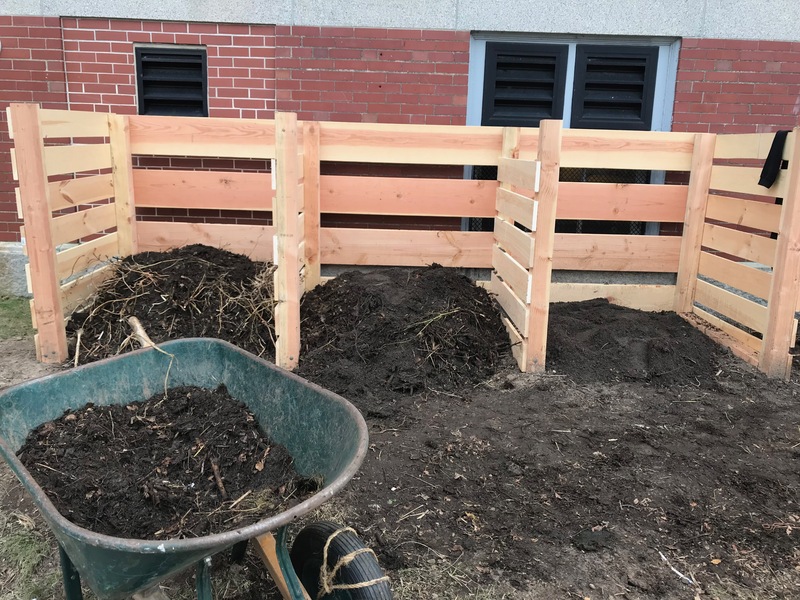 Starting with some research of composting, three-bin structures and construction materials, the students helped design what they were about to build. 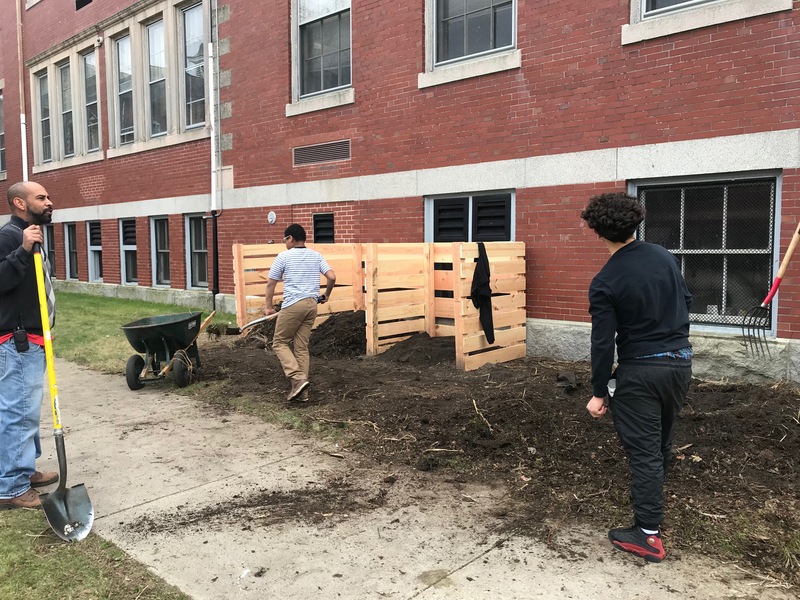 Throughout the next week different classes helped deconstruct the current compost bin and rebuild and sturdy and pretty new compost bin! 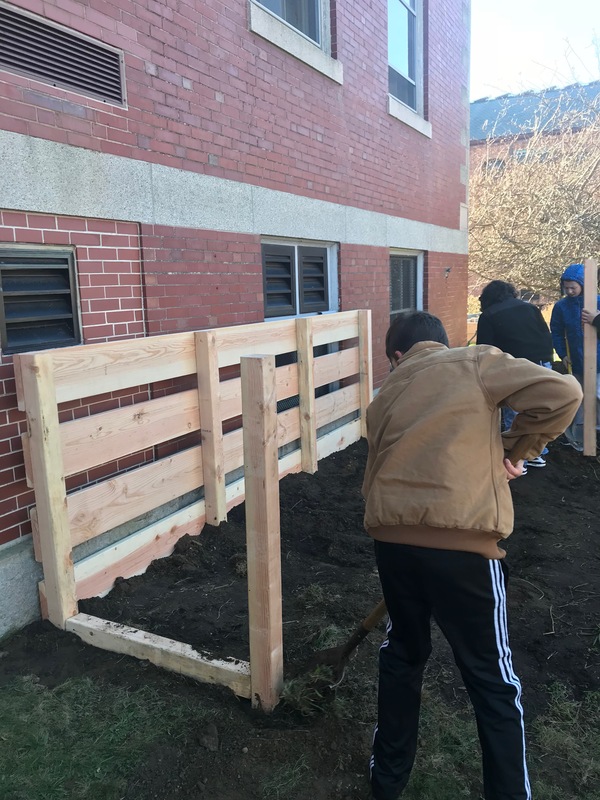 With the final touches being added, and a front gate on each compartment, Trinity will be able to process their garden waste and grow healthy compost for use in their garden. 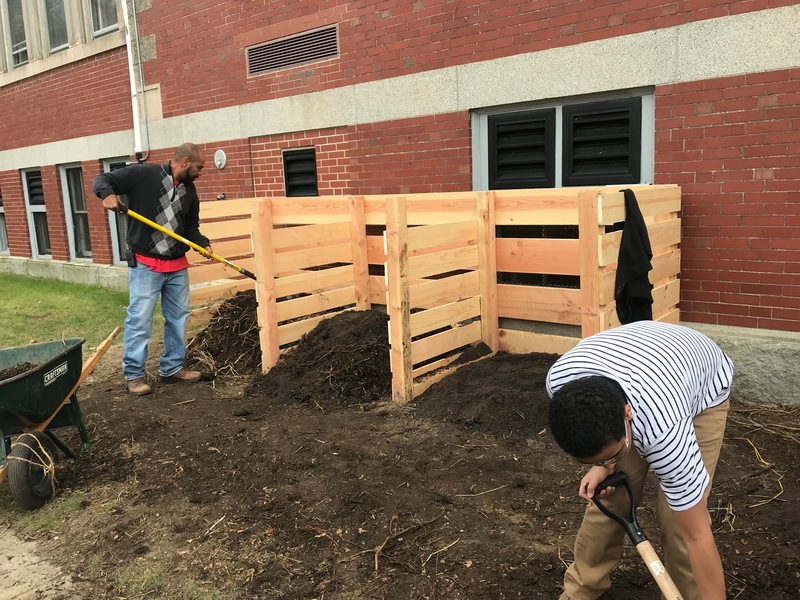 Grow Education would like to thank Mr. Pina, Mr. Kravitz (principal of Trinity Academy), and all of the students who worked hard to create the new compost bin!